The TYPO3 community is getting more and more active and the events and meet ups are becoming more. So it gets quite hard to keep the overview over all gatherings that happen. So I decided to add a calendar to this blog. It is also possible to subscribe one or more events to your favorite calendar application. In each listing and single event view there is a „Add“, „Add to calendar” or „Subscribe“ button. With this button you can add the event or the selection to your favorite calendar. If the list is updated and your calendar app checked the subscription new dates will be added to your calendar. Do you know or organize an event that is not listed? 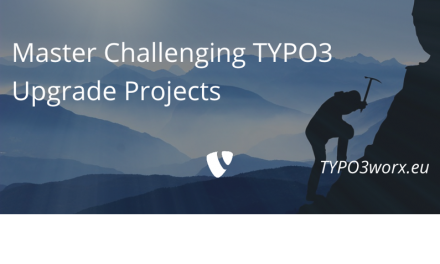 Please keep in mind, that this is a private initiative and there is also an event listing on typo3.org. You should really add your event there too, since the website has a much broader audience than this blog. If you like this post, please help promoting it. For sharing via Twitter, Facebook, XING, Linked In & co you can use the buttons below. To be informed right after publishing a new article, you are welcome to subscribe to the RSS feed of this blog. Thank you very much. There are some extensions that extend the news extension of Georg Ringer, with such functionality. The styling is completely up to you.